One day I will! That is the universal excuse we use to shelf things which we most long to do. And, some of us do eventually find the time to tackle our creative passions, but sadly a lot don’t. 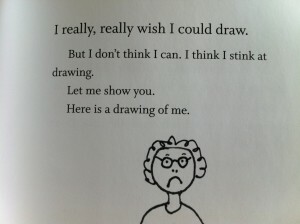 From the book “I Wish I Could Draw” by Cary Fagan. I want to write my children’s book. I want to….I want to….I want to! What we need is a whack on the side of the head to stop making excuses and get started. After all, what do we have to lose? Wasn’t it Malcolm Gladwell who postulated the secret to genius-level excellence was 10000 hours of practice? So, why would we be afraid to get started? After all, aren’t these things that really fuel our passion! My inspired whack came last night when I was haunted by a line from Cary Fagan’s new book, I Wish I could Draw. And if it hadn’t hit me before, now it did. And once do, you’ll get this negative thinking out of your life for good. 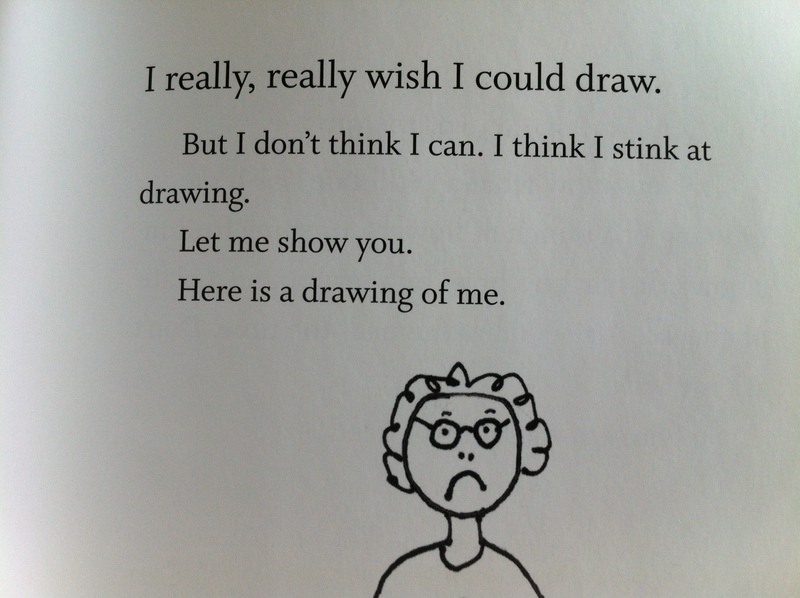 “I really, really wish I could draw. AND SECONDLY, START WITH SOMETHING YOU LIKE. “So if I really like to draw, does that make me an artist? What if some day my self-portrait hangs in a big museum? “Well, it’s fun to imagine. 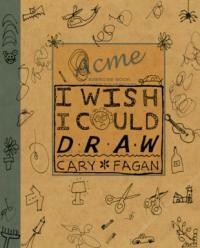 I wish I could Draw by Cary Fagan, is published by Groundwood Books / House of Anansi Press.